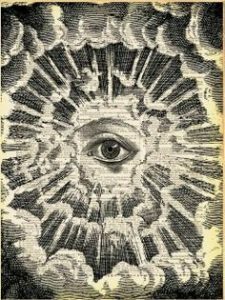 The Fraternity of the Hidden Light is an Esoteric Order in the Western Mystery Tradition, tracing direct lineage to the great English Order at the turn of the 20th century, known as the Hermetic Order of the Golden Dawn. Like the Golden Dawn, the Fraternity of the Hidden Light practices a system of spiritual disciplines best described as Hermetic Qabalah. Hermetic Wisdom is a combination of ideas based on the teachings of Hermes Trismegistus (the legendary Egyptian Master of Masters). 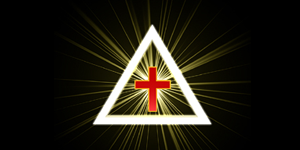 The Qabalah is a dynamic system of Judeo-Christian theosophy, mysticism, and theurgy founded on ancient teachings and based on the tradition practiced by the ancient Essenes (whose members included John the Baptist and Jesus). Esotericism is the theory and practice of the arcane arts and sciences. The dictionary defines arcane as mysterious or secret. These same secret arts have been practiced by the great Adepts and Masters of all ages and entire civilizations have practiced the recondite arts, including the ancient Egyptians. In Asia, esotericism is practiced openly as Yoga. The esoteric arts have been misused by some, and thus have fallen suspect. Nevertheless the Sacred Mysteries are part of the Arcane and they have throughout history been kept secret. The Fraternity of the Hidden Light practices these Sacred Mysteries or esoteric arts for good, as they were intended by the great Adepts and Masters. Mystery Schools, as individualized expressions of the Western Mystery Tradition, have been in existence for millennia, their origin lost in time. Tradition ascribes the founding of the first Mystery Schools to immortal beings of godlike stature, whose compassion for mankind led them to form Mystery Schools for the evolutionary advancement of a comparatively infant humanity. These first Mystery Schools, having served their purpose, have long since vanished. Dying embers on their altars, however, were carried to new temples and rekindled into burning flames, to be living messages to a humanity in great need. Notable among these various Schools formed down through the centuries are those of Isis and Osiris, the Zoroastrian Mystery Schools, the Mysteries of Dionysus, the Mithraic Mysteries, the Eleusinian Mysteries, the Gnostics, the Essenes, the Sufis, the Knights Templar, and the Brotherhood of the Golden and Rosy Cross. In more recent times, just before the turn of the 20th century, a new and eclectic expansion of the Western Mystery Tradition for English speaking nations took form in Europe as the Hermetic Order of the Golden Dawn. A few years later, an American branch of that organization was established as the Hermetic Order of the Golden Dawn in America. Soon after, it was reconstituted under European dispensation to become the Rosicrucian Order of the Alpha et Omega in America, with temples in Philadelphia, Los Angeles and San Francisco. THOTH-HERMES Temple #9 was the governing or mother temple in New York City. Perhaps one of the most important events in the recent history of the Western Mystery Tradition occurred almost a century ago when the Praemonstrator, or ruling Chief, of the Thoth-Hermes Temple, along with three other Officers, reorganized and expanded the teachings of the Alpha et Omega. Together they formed a new Mystery School operating under a new age dispensation, to be a transitional Order to bring Piscean Age humanity into the Aquarian Age, the Age of Man, or of Brotherhood and Humanitarianism. The founders of this new Order have since made their transition, but have left the vestiges of a lofty tradition capable of infinite expansion by those who hold the keys. To the Fraternitas L.V.X. Occulta, one of the inheritors of these keys, has fallen this task of expansion. Fraternitas L.V.X. Occulta is Latin for “Fraternity of the Hidden Light,” and refers to that hidden light resident in all life, the Spirit within. 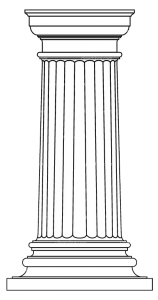 Through application of a Qabalistic numerological system known as Gematria, “Hidden Light” equates to the phrase, “The stone which the builders rejected” and refers to the legendary building of King Solomon’s temple, where the rejected stone became the Keystone of the temple, the temple of God and indwelling place of the Holy Shekinah. One of the Primary Purposes of the Fraternity of the Hidden Light is to prepare its members for illumination so that they may serve humanity. Members progress through several grades of instruction and experience, which aid them in achieving all that they are capable of becoming. The common goal is illumination and the full expression of Wisdom, Love and Power. Wisdom is acquired by the experience of correct actions based on true knowledge and insight. Love is developed through meditation which opens the heart for the illumination of Union with the ALL. Power is developed through the correct application of Wisdom and Love, as for example, through Ritual. The power employed in the rituals of the Fraternitas L.V.X. Occulta is the power of Love, the only true power in the Universe. The Fraternity of the Hidden Light is organized into several levels. The preliminary level is called the “Probationary” and is composed of students who are being trained in the general knowledge of esotericism. The curriculum includes the study of the Tree of Life, Tarot, Meditation, and the work of the Esoteric Orders. After the Probationary level the Initiated work of the Fraternity proper begins. The “First” or “Outer” Order is composed of Initiates of the mystery tradition of which the Fraternitas L.V.X. Occulta is a part. The objective of the First Order is to train its members in the growth of Wisdom, Love, and Power. Specifically, as Initiates progress through the grades, they learn to develop the elements of their being, resulting in balance and harmony. The goal is to be in control of one’s own actions, thoughts, and emotions, and ideally, at peace with oneself, the world and every creature in it. 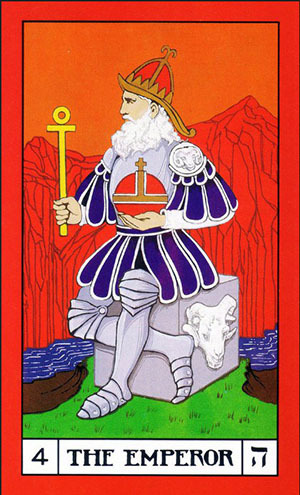 The “Second” or “Inner” Order is composed of Initiates who not only have developed balance and harmony in themselves, but who have also received illumination. Their Higher Self is both awakened and in control of their lives. They seek to become truly those who “know” and can serve humanity. The “Third” or “Invisible” Order is composed solely of Great Adepts and Masters throughout the ages. These great souls guide the Order, and other spiritual organizations that have similar objectives and high ideals. The Masters that guide the Fraternity of the Hidden Light serve the Will of God. The curriculum of the Fraternitas L.V.X. Occulta, or Fraternity of the Hidden Light, is a structured, graduated system which utilizes grades as a means of preparing and training the aspirant. Mystery Schools of all Ages have employed elaborate methods to screen their students and test their integrity and dedication to the Great Work. At the same time, these methods were intended to give the student an understanding of and feeling for that particular school’s approach to the Work of L.V.X. The Fraternity of the Hidden Light is no different. The curriculum of the Fraternity is personally guided and consists of study, meditation and ritual. Its studies center around the mystical Arts of Qabalah, Alchemy, Astrology, Magick, the Tarot and what may be called Occult Psychology. Meditation is used to facilitate an in-depth understanding of the Tradition and to develop within the Aspirant a personal communication link with the only true Teacher, one’s own Higher Self. Rituals are used for numerous purposes and are aimed at invoking quantum changes in consciousness, leading toward a perception of the inner realities behind outward appearances. The Fraternity of the Hidden Light is very selective in accepting members, and seeks only those who truly desire to grow in love and serve humanity. There are two aspects of membership in the Fraternity of the Hidden Light. The Hall of Probationers, for those who would like to participate in Correspondence Course Work and the Initiated work of the Fraternitas L.V.X. 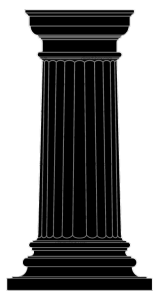 Occulta. As a Probationer you have access to an on-line forum, various educational materials as well as direct contact with the various Directors around the world who are dedicated to helping students in their studies. To become an Initiated member of the Fraternitas L.V.X. Occulta, a minimum of three months probation is required, whereby the aspirant is asked to acquire certain rudimentary knowledge of the Esoteric Sciences. 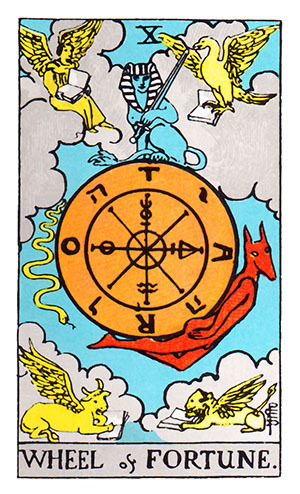 Upon completion of the probationary period, the Tyro, or Probationer must submit a proficiency examination, demonstrating a basic knowledge of the Esoteric Sciences. Completion of the probationary period, however, is not an entitlement to initiation, but rather a condition pursuant thereto. Only those Aspirants who demonstrate an open-minded willingness to learn, and a humanitarian spirit may gain admittance to Initiated work of the Fraternity of the Hidden Light. A membership with our Fraternity entitles you to receive the Threshold course. This course consists of 32 lessons of which you receive two each month, mailed/ emailed to you on the 15th. The cost is $45 for three months ($162 for one year) for regularly mailed lessons, or $36 for three months ($130 for one year) if you select to receive your lessons in PDF format by email. All the above is payable using PayPal. If you are a full-time student, please contact the Director of Probationers for information on student rates. When you complete the Threshold, you will have the opportunity to continue your study with the Path of Return course, Astrology for the Qabalist course and the Elements of Ceremonial course, with emphasis on ceremonial and ritual magick. Our study materials focus on practical application and personal experience rather than intellectual information. In the courses you will be guided step-by-step and given specific exercises in the Tradition of the Western Mysteries will be given to you. For your support on your spiritual journey you will find the Director of Probationers and First and Second Order members always ready to answer your questions. We also have a Yahoo! Group for Probationers by invitation only, where members share questions, experiences and information. For those who are already members and need to make a payment please go to our Membership Dues page. To Apply for Membership: Enroll as a Probationer and please fill out the form by following the link below and we will contact you as soon as possible. In the meantime, may the Love and Light of the Lord of the Universe Guide us all to the full realization of the Age of Brotherhood!